Dubset Media Holdings has announced a partnership that will allow Apple Music to stream remixes and DJ mixes that had previous been absent from licensed services due to copyright issues. Thousands upon thousands cool mash-ups and hour-long mixes have effectively been pulled out of the underground and placed onto the world’s second-largest music subscription service. Dubset is a digital distributor that delivers content to digital music services. But unlike other digital distributors, Dubset will use a proprietary technology called MixBank to analyze a remix or long-form DJ mix file, identify recordings inside the file, and properly pay both record labels and music publishers. The proliferation of EDM and user-generated content has created a major sticking point: how can people stream user-generated remixes, mash-ups and DJ mixes on a service that otherwise offers only the standard tracks and albums it licenses from record labels? It’s a problem for these services, too. People that want to hear this kind of un-licensed content can look elsewhere. In fact, the IFPI estimates that 20 percent of Internet users worldwide regularly listen to some kind of unlicensed music services. But licensing remixes and DJ mixes, both based on original recordings, is incredibly complex. A single mix could have upward of 600 different rights holders. According to CEO Stephen White, a typical mix has 25 to 30 songs that require payments to 25 to 30 record labels and anywhere from two to ten publishers for each track. The licensing has been done in-house at Dubset. Thus far the company has agreements with over 14,000 labels and publishers. MixBank matches the recordings used in the remix or DJ mix against a database of three-second audio snippets from Gracenote, where White was CEO prior to joining Dubset. He says fingerprinting is a “brute force” tool that can provide MixBank with up to 100 possible matches for each three-second match. The more difficult final step is performed by MixScan, proprietary piece of software that pulls apart the mixes and figures out what’s inside. MixScan identifies the recording and its stop and start point in each mix, then finds the corresponding rights holders in a dataset together through multiple partnerships and direct feeds. Any file submitted to Dubset is required to jump through a number of hoops before it is distributed to a digital service. 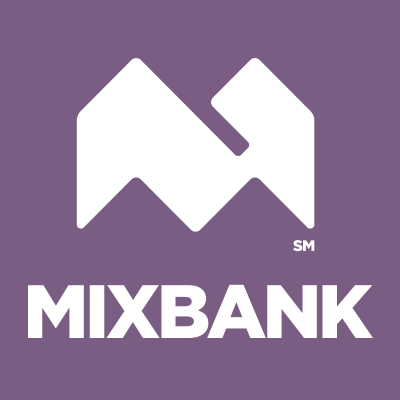 Once an uploaded mix is analyzed, a process White says takes about 15 minutes for a 60-minute file, MixBank checks the recordings, as well as its underlying composition, against the controls and restrictions set by rights holders. For example, rights holders can blacklist an artist, album, or track. They can create a rule to limit the length of a song used in a remix or mix. Rights holders can prevent an artist from being associated with certain other artists and they can control which territories will and will not get the content. Then there’s an optional review process at the end so a rights holder can give a final approval for the file before it is distributed. The process then moves to the creator. A notification is sent when the content either cleared or didn’t clear. If it cleared, the creator can select the desired distribution services (White says others are coming soon). If the file doesn’t clear, the DJ receives an explanation and can make necessary changes before submitting it again. In many ways, Dubset is like any other distributor. The service pays Dubset for the content. Dubset then figures out which label and publishers to pay. It retains a percentage of revenue for the service and pays the creator (the remixer or DJ) a share of revenue (White won’t provide the specific amount of each). Major labels and independent labels are paid at the same rates. Big DJs and small DJs also earn the same rates. For labels, these newly licensed mixes are like found money. “The new revenue and royalty potential once this content moves to authorized music services is enormous based on the amount of this content that’s already being streamed without approvals and royalties,” says Roland Leesker, CEO of Get Physical Records. If you are a club music producer or a DJ, sign up at MixBank right now to upload your mixes and tracks today and get this money.